Man opening a passenger door for a businesswoman getting out of a car. Female entrepreneur traveling to office in a luxurious car. presented one of his excellent safety investigative pieces that focused on an important ongoing activity that is important to women’s safety. 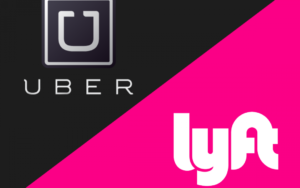 The issue of his investigation was whether women using the Uber (or presumably Lyft) type service took the precaution on checking to ensure that the car and driver that show up to pick them up, is the same that was ordered by them from the respective service. Mr. Rossen posed as a driver waiting to pick up a rider, and found that people, focusing on women, but also including men, would not check their order details, and ensure that the waiting service was the one they ordered. In many cases, the women would simply get into the car, without having checked the description of the car, the license plate of the car, and the identity of the driver. Further, they did not question the driver to see if they knew the name of the expected passenger. A fake driver would not know the reservation details, to include the name of the person to be picked up. This is, of course, a very important point of safety, ensure you are getting into the correct waiting vehicle. I have not seen the data to confirm that this is a common or occasional occurrence. If it happens once, and a woman is victimized by their lack of attention or [awareness], which as you know from my blog posts is my key interest, that one occurrence is one too many. First and foremost, when you order a ride, check, and re-check, the details received from the service, noting the description of the vehicle you expect, the license plate of the vehicle, and the specific type of vehicle (Ford, Toyota, Chevy, etc). If your ride is at your location and already waiting, but the service app does not show the vehicle to be present yet, that should be a RED FLAG that prompts you to check and re-check. that frequently the driver’s photo does not match the person they are seeing in the vehicle. It is hard to resolve this without experiencing it myself. My recommendation is to look, question and compare before entering the vehicle. It takes a moment of time that you should value. Next, have an offsite person that you notify, via text or a phone call, when you take a ride in any service. My family will text to me their information for confirmation and tracking. In that process, I know when they are commencing their trip, from where they are departing and their destination. I can then, communicate with them if we choose to. Perfect, no, but significantly better than using these services without a similar form of support networking. An often overlooked recommendation that should be given more attention is…know where you are going. If you do not know where you are going, you are at the mercy of the driver. If that driver alters from the logical route, you should recognize that and be prepared to question, and respond is the answer is not satisfactory to you. First, your go-to should be your purse, bag, jacket, sweater or other items you may be traveling with. Your purse or bag often have a strap. The strap is available to put over the head of the suspect driver, and when combined with your body weight, used to impede or restrict the suspects breathing. I am talking about choking the person. A violent act, without a doubt. An act of survival, without a doubt. Another handy item in the car will be the driver’s seat belt. Reaching over the seat to the front of the driver’s chest area you should find the seat belt that crosses their chest. Grabbed that baby and pull it back with all your body weight, bringing it up to, and across, the suspect’s neck. The result should be another method of choking. Now, this obviously works best if you are positioned directly behind the driver. If you pull back and lean your body over to the passenger door you could make the drivers efforts to reach back to you. The driver cannot safely drive the car and fight you from the back seat. An obvious warning that you should be mindful of is if the driver has a weapon, like a gun. But again, they may not be expecting you to take offensive actions for your safety. Your offensive actions will begin to dictate the situation you find yourself in, to your advantage. As to your jacket, sweater or other items, they too can be an effective distraction. Your jacket or sweater, thrust across the suspects head and pulled back by the edges or better yet, the sleeves become not just a distraction, but impacts their vision, causes disorientation and confusion that combined, can serve to your advantage. Your phone should be used to immediately dial 911, or if you have a “Panic Button” function, or you have a prearranged contact person that you can “quick” dial or dialed by a shortcut function. You almost certainly have a pen, pencil, pointy object, makeup item, comb or better yet, your own keys, that can be used to stick, stab and jab in the vulnerable places on the suspect. Those vulnerable places include their ears, eyes, throat and neck areas. The most important tool that you have for your survival is your mind, your head, your awareness, your preparedness! Keeping your head in a dynamic situation, like an attack or kidnap attempt, is critical to your survival. The last thing that you should allow to happen is that the attacker mentally and physically overpowers you and takes you, particularly when you have failed to fight back, when appropriate. That last reference to “appropriate” focuses on timing. Your actions may be best taken at a time and place of your choosing. Having said that, allowing too much time to pass, under control of the attacker or suspect, tends to work to your disadvantage. There are more, perhaps even better options. Don’t just rely on one person’s perspective or recommendations. Seek out the things that work best for you, consider things based on how you live and move in the world. Become aware for your own good, and for that of your family. So, there you have it. Not the usual warm and fuzzy post on social issues. But after all, my primary focus in Blogging to you is in support of my Awareness training program, which targets the most vulnerable in our society, women, and children. My goal is to educate women and children in concepts and methods for self-empowerment and safety. By raising their awareness they can be safer in this challenging world.